Quite often, if you intend to be the personal representative of a friend or loved one’s estate, you will begin the probate process. This includes filing the petition for administration in the proper county court, providing the will to the court, and and seeking the letters of administration. Once the judge signs the letters of administration naming you the personal representative of the estate, your responsibilities truly begin. Unless the beneficiaries of the decedent’s estate have signed waivers for receiving notice, you must send notice to all potential beneficiaries of the probate proceedings. This usually includes mailing a notice and copy of the court documents to family members through certified mail. You might not think of it at first, but it is best if you can have the decedent’s mail forwarded to your address. You can do this by taking the letters of administration to the post office. Once you are getting the decedent’s mail, you may have an easier time identifying their assets and debts. For the purposes of the estate’s final taxes, the Internal Revenue Service requires you to obtain a taxpayer identification number, known as a TIN or EIN. You can do this online or have an experienced probate attorney do so for you. As a personal representative, you will be required to file the final income tax return for the decedent and the final income tax return for the estate. It is best to work with an experienced accountant to do this properly and ensure all tax liability is paid. Your major duty as the personal representative is to identify and preserve the decedent’s assets. This will mean figuring out all of the person’s bank accounts, investments, retirement accounts, insurance policies, real estate, and personal property. You may also have to have some of these assets valued. You should make a comprehensive inventory of these assets for the probate court and final tax return. An experienced probate attorney is extremely helpful in identifying, taking control over, and valuing assets. Very few people pass away without some creditors, even if they are simply the mortgage lender and utility companies. Credit card debt, medical debt, and auto loans are also extremely common. Your responsibilities includes identifying creditors, which you will do through the decedent’s mail and performing a search, which an attorney can do. For small, common debts, you can file a proof of claim with the court stating you intend to pay them. For other bigger or more unique debts, you will have to notify creditors of the necessity of filing a claim against the estate. This must be done within 60 days of your being made the personal representative. Once all of the assets have been identified and all of the debts, including taxes, have been paid, then you are allowed to distribute assets to the decedent’s beneficiaries. This should be done in accordance with the will or applicable state law. 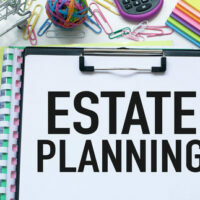 Once the person’s remaining assets are distributed to their beneficiaries, you must return to court to close the estate and be discharged as the personal representative. This includes providing a final accounting of the estate, including proof that creditors and taxes have been paid. If you are to be the personal representative of a friend or loved one’s estate, contact the Law Offices of Larry E. Bray, P.A. at 561-571-8970 to learn more about your responsibilities. Our West Palm Beach probate attorneys are eager to help you today.